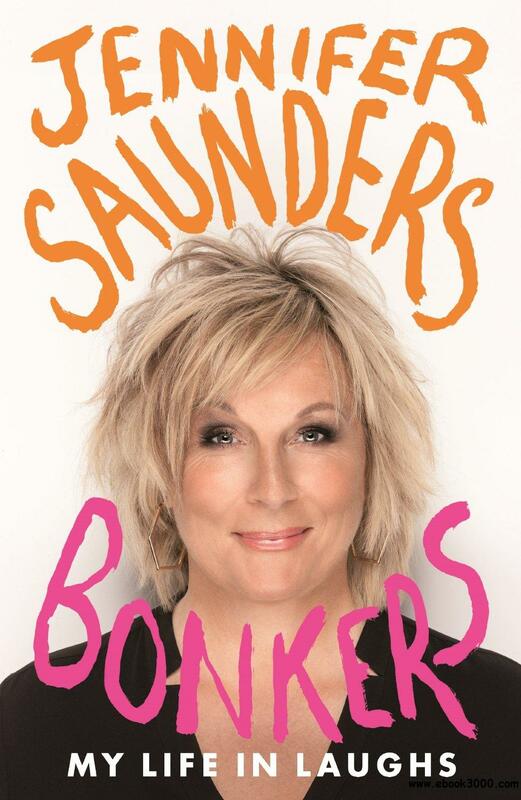 I love Jennifer Saunders — she can do no wrong in my eyes. She is a comedic genius and a global treasure. Wonderfully, she has written an autobiography that only furthers my adoration of her, mainly because she reminds me of myself and I’m terribly vain. The book doesn’t follow a strict timeline, but rather, is written in stories that convey a certain sense of passing time. I’m a fan of this type of free-flowing prose and it works splendidly in Bonkers. You can’t really review a life, but if I were to, I’d give Jennifer five stars! Instead, I’ll comment on some of the stories that stuck with me. I was first delighted by her contentment doing absolutely nothing. I’m the same here! She writes about how she could happily sit on a stoop for hours daydreaming. I love this. There’s nothing better than a good daydream while doing nothing. I often think about touring with my good friend Beyoncé and winning a gold at the Olympics for speed-walking and then eloping with Tom Daley. Don’t judge. For some reason, I’d always thought of her as a bit of a driven woman, but this isn’t entirely accurate. She has no real inclination to work, but rather a passion for having fun — which she has excelled in all her life. Can you imagine the joy there must be in writing and creating imaginary worlds with your best friends? I think it’d be magnificent and I’m terribly jealous! Soon, with her “comedy partner,” Dawn French, she finds her calling in the world of comedy. Am I ever happy she was in the right place at the right time. If she hadn’t, we’d never have had such triumphs as French & Saunders, their sketch show, Absolutely Fabulous, perhaps her crowning achievement, and the yearly broadcast on BBC2, which I wake up for at a ridiculous hour of the morning to giggle along with. I can’t help but draw similarities to me again. If you’re reading for a straightforward review, do accept my apologies. Her relationship with Dawn reminds me of my best friend (who is getting married the day after tomorrow…we’re so old now.) All throughout school, we were absolute fools, just having fun the whole way through, rarely taking anything seriously, playing it up, writing ridiculous plays, singing Sondheim in classes we invented, making little irreverent movies. I miss those times. Toward the end of her memoirs, she writes one of the clearest and most eloquent examples of depression I’ve ever read. I really love how no-nonsense she is. There is a problem, she goes to find a cure without worrying too much, the end. Of all the things that I loved in this book (I loved an awful lot) and what made me love Jennifer more than anything else was the fact that she is a terrible procrastinator, just like me! I could do it professionally. She devotes the beginning of a chapter to it as she details her writing process. She can’t begin writing until she sweeps the room, obviously. She can’t begin writing until she’s lit a fire. She can’t begin writing until she watches the world pass by the window. She can’t possibly begin writing until she’s nearly worn down the battery of her phone. This is my life story, reader. Procrastination is a monstrous curse and I’m glad that my role model and comedy icon suffers the same! What I took away from the book was that there is a wondrous inevitability to life. A person alone is not really in charge of their destiny, but rather, your successes and triumphs are determined by circumstance. I fully believe in this and hope that I am someday as lucky as Jennifer was and have a marvelous life, too. Bonkers is a great memoir and I heartily recommend it to any of her fans. Also, she loves gin and tonic, fax machines, and sweeping, so she is PERFECT. She’s been one of my role models for so long now, and now that I know just a bit more about her, that’s ever more true. It must be odd to be a role model to people, I find it odd when the children I work with look up to me, but I hope that Jennifer appreciates it. She means an awful lot to me. PS: I LOVE YOU, JENNIFER. I DON’T WANT TO EAT YOUR SKIN. Can we go out for tea? Please?